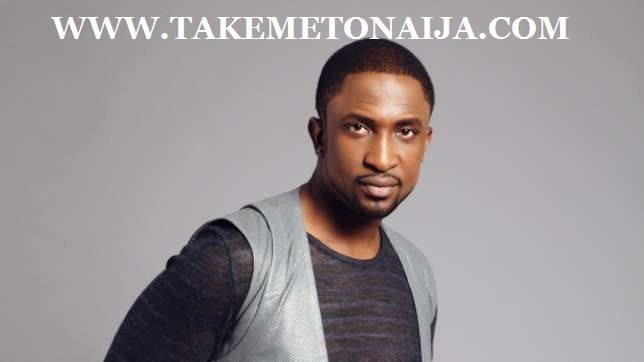 Darey – is a Nigerian multi-platinum selling and award-winning musician, singer-songwriter, and Idol series judge. He is the son of the renowned Nigerian entertainer, Art Alade. He is quite loved by his fans for his awseome R&B Songs. Dare Art Alade is the last of the five children of Olapeju Art Alade, wife to Art Alade a famous Nigerian highlife / jazz artiste in the sixties and seventies. His older siblings are Abimbola, Taiwo, Kehinde and Bolaji and he hails from Lagos state, the former capital of Nigeria. Dare’s road to stardom started in 1998 when as a teenager, he was performing at B Jez Nite Club on Victoria Island, Lagos State. It was there that a member of the Cool FM management spotted the talent in him and invited him to radio station, where he (Dare) groomed him in all aspects of radio production and marketing. the University of Lagos where he was studying for a degree in Music. knowledge of radio production and marketing. Darey has over almost the past decade been a disc jockey, TV presenter, entertainment consultant, voice over artist and performing/recording artist. Dare grew in Lagos, where he resided with his mum, and shuttled between the CoolFM radio station and University of Lagos where he was a student in the Department of Creative Art. Apart from playing music on piano and drums, Dare also loves riding all kinds of motorbikes and keeping dogs. Dare worked fulltime as a DJ, VJ, events compere, band member and voice-over artiste. Quite a wide portfolio for this talented Nigerian who creativity and bubbly personality pervades everything he does. He was a DJ for 96.9 CoolFM, a Lagos-based radio station where he hosted various shows. Dare was a member of an Acapella group called ChordWebs they sang in churches as a group and individually. people, and emerged third in the contest. in Nigeria (A.M.E.N) and the 2006 Channel O Music Video Awards for best R&B Video in Africa. fame in the South Africa edition in 2004.
the 2009 Nigerian Entertainment Awards held in Washington DC. room filled with several African presidents and past world leaders. alongside his Soul Muzik team one of the biggest shows Nigeria has ever seen, Darey Presents: Love Like A Movie in February 2013 which had the red carpet hosted by Kim Kardashian as well as the highly successful release of the music video, “Asiko” featuring Jozi and Ice Prince. Unilever’s popular beverage drink – Lipton. Darey is currently a judge on Nigerian Idol, replacing Jeffrey Daniel. primary and secondary schools in Africa.